The Amazon Fire TV Cube makes up for its wordy name by doing a lot. Its primary feature involves controlling your TV and the Amazon Fire TV software with your voice. 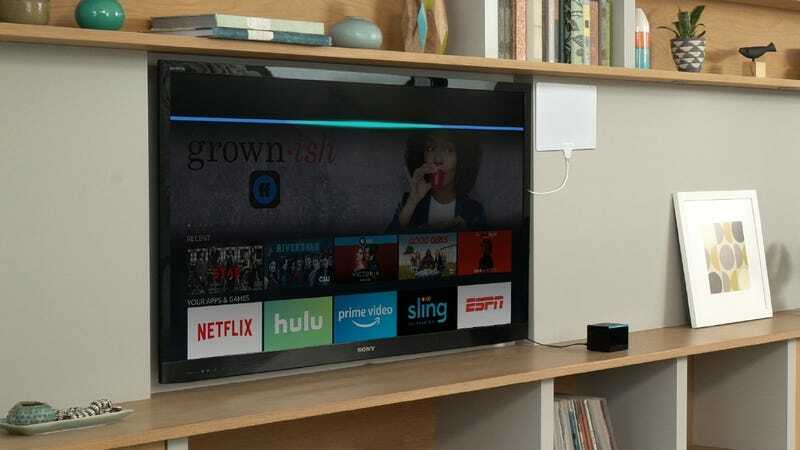 Amazon has programmed a whole host of new capabilities that not only let you turn on your TV and turn up the volume but also navigate between channels and find content on channels like Netflix and Hulu through Amazon Fire TV. Secondary to turning your voice into a remote control, the Fire TV Cube also works the illegitimate lovechild of an Echo Dot and an Echo Show. It’s an Alexa-powered speaker (emphasis on the Alexa, not the speaker) that will answer your questions and obey your commands. Do you have the Alexa skill setup for your Philips Hue lights? Then the Fire TV Cube is capable of hearing your command and turning on the lights. Big whoop. An Echo Dot does that just fine. But if you ask the Fire TV Cube about the weather, it can show you the forecast on the TV. There are various other Echo Show-like skills that people might enjoy seeing on their home’s biggest screen. The Amazon Fire Cube TV is available for preorder today in the US for $120, and the devices start shipping on June 21. There's no word on a UK price or release date just yet. It’s a curious proposition, when you think about it. Being able to control your existing home entertainment system with special set-top features could be pretty cool. Plus, the extra stuff. The Cube does everything that a Fire TV does, everything that an Echo Dot does, some of the stuff that the Echo Show does, and some stuff that nothing else does. Yes, you will need to be a part of the Echo data circus to get access to all of that. Maybe you love doing that.